The Federal Court of Appeal has dismissed a challenge by the Canadian National Railway Company to an earlier ruling that CN's railway activity in Winnipeg was too noisy for residents. Augustina Harker has avoided relaxing and playing with her partner and two children in the backyard for the past three summers because of the noise from a rail line used as a staging area behind her house in Winnipeg. "It's like you're inside of a factory," Harker said, adding that the smell of diesel periodically penetrates her home. "It shakes the house when those cars are hitting together." Harker and other residents of the east Winnipeg neighbourhood told a tribunal last year they hear valves releasing, engines throttling, trains braking and freight cars banging at all hours. "It's an extraordinary disruption," she said in an interview Friday. Harker may be able to take heart. The Federal Court of Appeal has dismissed a challenge by the Canadian National Railway Company to an earlier ruling that CN's railway activity was too noisy for residents. The initial May 2017 decision by a Canadian Transportation Agency tribunal ruled "that the noise levels caused by CN's operations constitute substantial interference" and "are not reasonable, as they cause an excessive impact on the residents." The tribunal stated the agency may order CN to make "any change" to its operations that the regulator considers reasonable. Wednesday's federal court decision dismissed CN's application for judicial review on the grounds that questions of fact were beyond the court's role as an appeal body in this case. Multiple Winnipeg residents living alongside the rail line near the Transcona Rail Yard told the tribunal in 2016 that CN has been using the area to hold and rearrange trains since 2015, when construction on an underpass — completed the following year — began. Robert Scott, who filed the complaint, argued the vibrations and noise have cracked home foundations, ceilings and drywall and caused sleep deprivation, high blood pressure, headaches and anxiety among the applicants. "The applicants provided an example of one incident...where a train idled with its engine revving up and down for over an hour before departing," the tribunal's decision reads. "The applicants state that when idle trains start to move, there are successive banging noises resembling explosions, as the boxcars slam into one another. The applicants state these noises also occur both day and night." 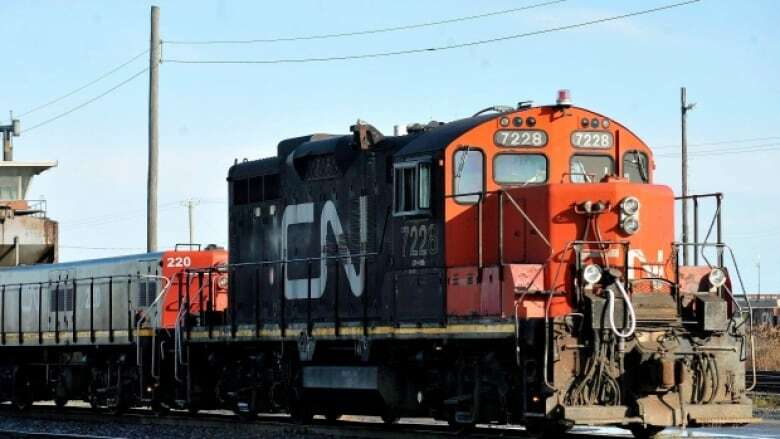 CN had argued it was "only causing such noise and vibration as is reasonable," and requested the initial complaint be dismissed, the tribunal said.